From 5 to 5000 people, and start-ups to long established businesses, Nat can create a unique, real and engaging appearance especially suited to your specific needs. Her motivational speaking will energise and engage; her story of courage and audacity will inspire and empower. Nat’s life philosophy is ‘NO LIMITS’. She believes in the power of the mind and that once you set your sights on something, nothing should get in your way. It’s all about dreaming, believing, taking massive action and persevering until you have a firm grip on your gold medal. To demonstrate this belief, Nat can incorporate glass walking or fire walking into her appearances, adding a real X-factor that’s sure to capture the attention of your audience. Additionally, a beach volleyball game can be organised to get audience members working together and achieving common business goals. At the beach, at your workplace or anywhere else you choose, your next event can be a memorable and successful one. We all have goals and aspirations in life: key things we’d like to achieve; our gold medal moments. The tough part is identifying these goals then setting a clear path – and developing an unshakeable mindset to make them happen. 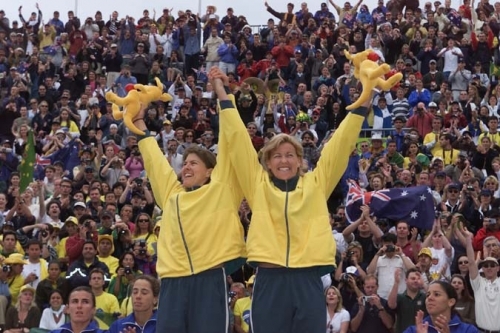 Now, four-time Olympian and one of Australia’s favourite sporting personalities, Nat Cook is available to help you achieve your gold medal, whether it’s from an individual or an organisational point of view. 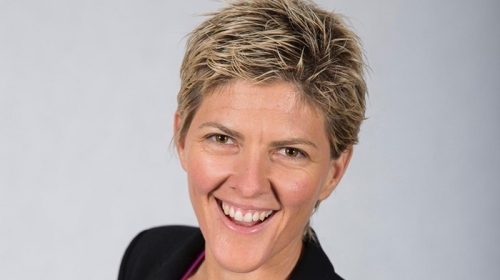 Having won gold in beach volleyball at the Sydney Olympics in 2000, and now running her own successful business, Nat knows what it takes to be number one. And now she can share her story, and her secrets, with your business or conference, helping to motivate and inspire her audience to achieve their goals. From the beach to the boardroom, or an intimate table setting to a fully-fledged corporate function, Nat has an amazing knack of captivating an audience and drawing the best out of people. Team up with this Olympic legend and discover an inner-strength and determination you never knew you had. There’s no end to the benefits that Nat can provide. Thousands of people across Australia and around the world, plus hundreds of organisations, have been motivated to dream big – to unlock, discover and uncover their goals, and to achieve their gold medals. Improve communication between staff and build relationships. Inspire individuals and teams to achieve their gold medal. Draw parallels between business success and a gold medal performance. Help people step out of their comfort zone and overcome fears. Improve teamwork and cooperation for personal and business success. Provide insight into staff leadership skills. Re-energise staff by improving health and wellbeing through physical activity. Leave your audience wanting more, fired up and ready to take on the world!